The dog was discharged from the animal hospital on Sunday afternoon and is now recovering at home. 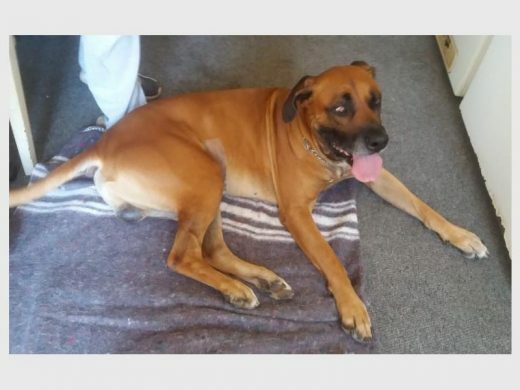 After a few very stressful days, a Bonaero Park, Kempton Park family is smiling again as their family dog is back home recovering after being impaled on a palisade fence on Thursday evening, reports Kempton Express. On top of their thank-you list are ER24 paramedics and the Bonaero Park community, who came to the animal’s rescue. The family, who wished to remain anonymous for security reasons, said their neighbours contacted them immediately after the incident. “As we were rushing back home, all the neighbours were on scene busy with their heroic actions of rescuing our dog,” said the family’s daughters. 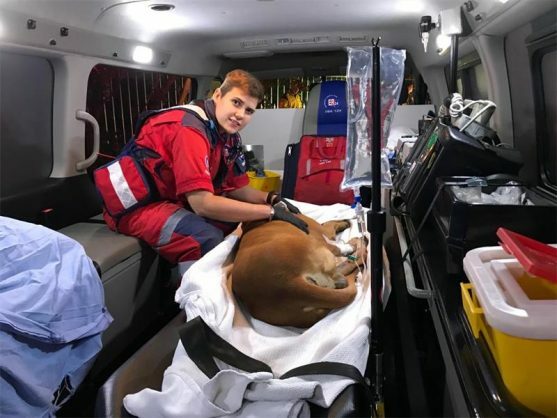 At last, residents managed to get him free from the gate and he was immediately treated by ER24 paramedics and rushed to Kempton Animal Hospital in one of the service’s ambulances for immediate surgery. 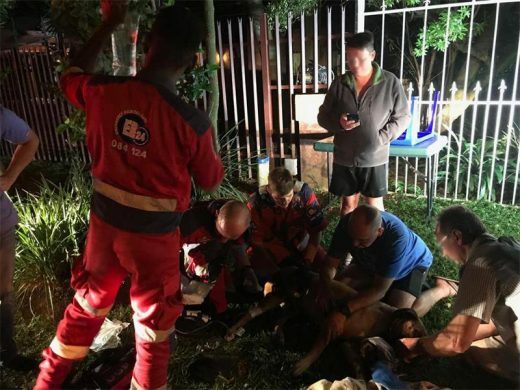 “We are grateful and forever thankful for the heroic actions of our amazing neighbours, residents of Bonaero Park, friends, the ER24 medics, SCF, PHP Security, and Kempton Animal Hospital for all that was done. Without your unselfish acts of kindness, love and dedication to helping, we would never have managed to save our beautiful dog alone. The dog was discharged from the animal hospital on Sunday afternoon and is now recovering at home. The family believes he got spooked by a suspicious disturbance close to their home. The family pet is now recovering at home after being discharged on Sunday. According to Ross Campbell, spokesperson for ER24, paramedics got the call at 8.30pm and had time to respond. The dog had suffered a cut and ruptured intestine. The medics sedated him so they could treat the wound and took him to the vet.